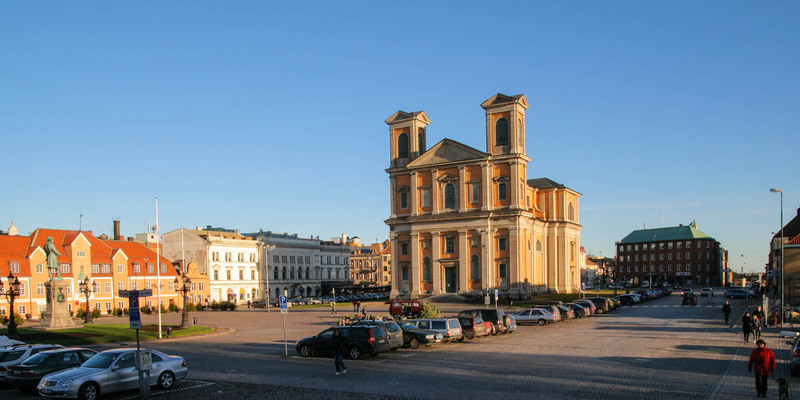 Fredrikskyrkan is the larger of the two baroque churches in Karlskrona. Originally from the mid-18th century, the church with the two towers stands on the east side of the marketplace Stortorget. 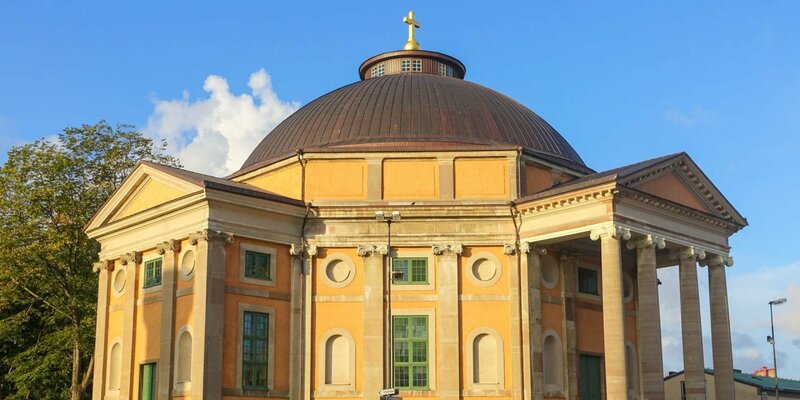 As well as the adjacent Trefaltighetskyrkan on the south side of Stortorget, the Fredrikskyrkan is one of the most imposing buildings of classical Roman baroque in Sweden. 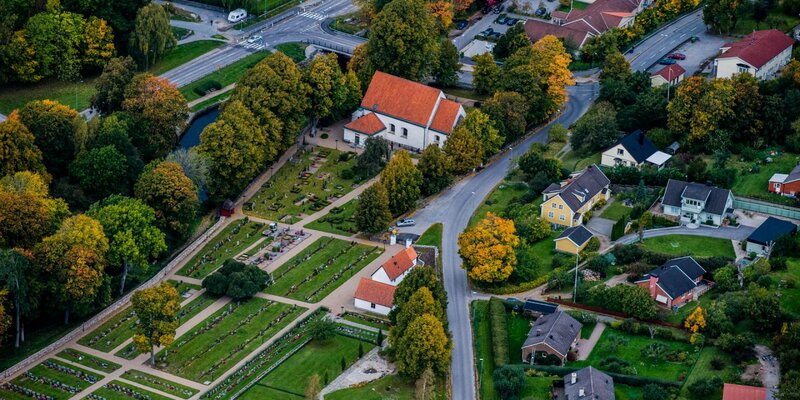 Both churches are part of the UNESCO World Heritage Site Karlskrona. 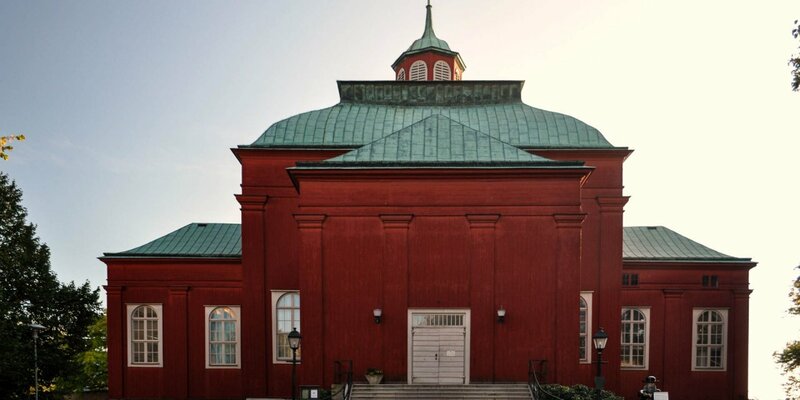 Trefaltighetskyrkan and Fredrikskyrkan was built according to plans by famous architect Nicodemus Tessin the Younger. The masonry consists of bricks and limestone from the island of Öland. The church organ is a reconstruction of the old organ from 1764. It is one of the finest church organs in Sweden, by sound and in appearance. The church provides another acoustic experience, when the 35 bells of the carillon in the south tower are ringing three times a day. Construction of the church began with the foundation on September 9, 1720. As early as August 25, 1721 roofing ceremony was celebrated, but it took another 23 years until the Fredrikskyrkan was consecrated in 1744. The two towers, which were originally planned with spiers, were completed in 1758. During the great city fire in 1790, the Fredrikskyrkan was also affected. But only the wooden roof and the bell frames were destroyed by the fire, while the church and the inventory remained intact. Even the great bell survived the fall from the tower because it landed on a big pile of wood shavings from the construction of the organ. As part of the repair and restoration work from 1805 to 1806 the church got a new roof with copper plates. Great renovations inside the church were done 1913-1915 and 1967-1968. The exterior stonework was restored 1997-1998.